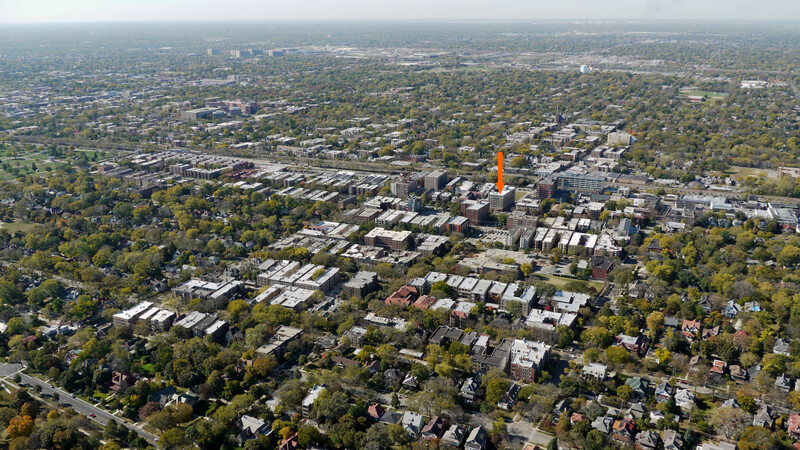 860 Hinman is a 7-story, 102-unit vintage apartment building at 860 Hinman Ave in Evanston. 860 Hinman was built in 1923 and has been recently renovated. 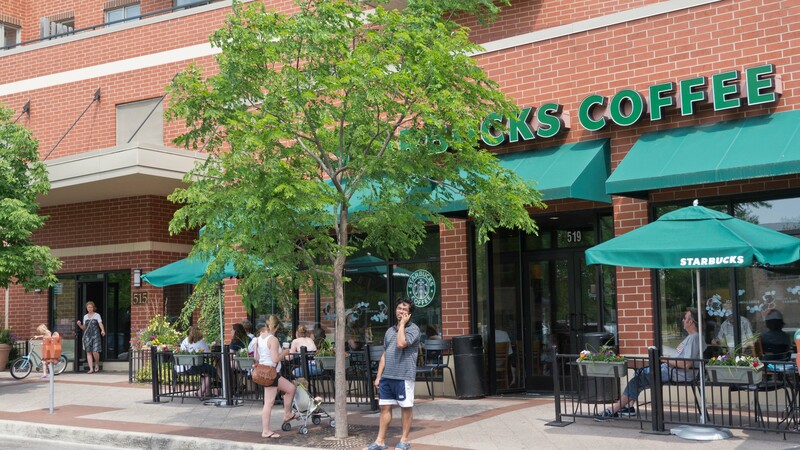 The brick building has a handsome limestone base and a broad sidewalk with plantings. 860 Hinman has a mix of studio and 1-bedroom apartments. Floor plans are available online. 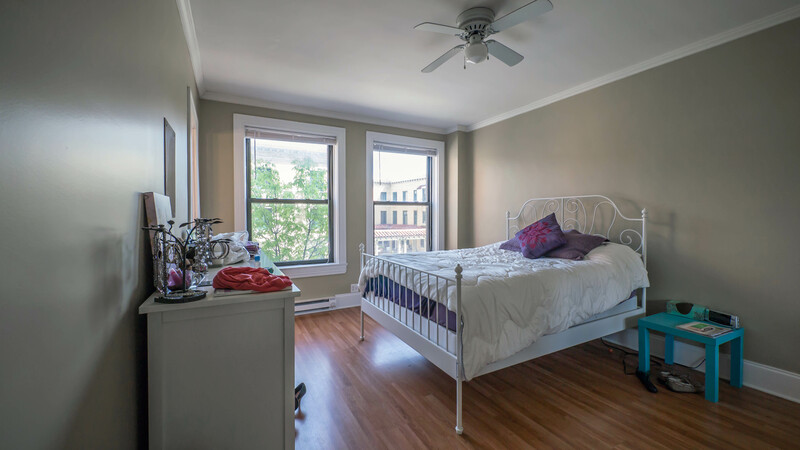 In mid-December 2014 rents started at $845 for studios and $1,285 for 1-bedrooms. 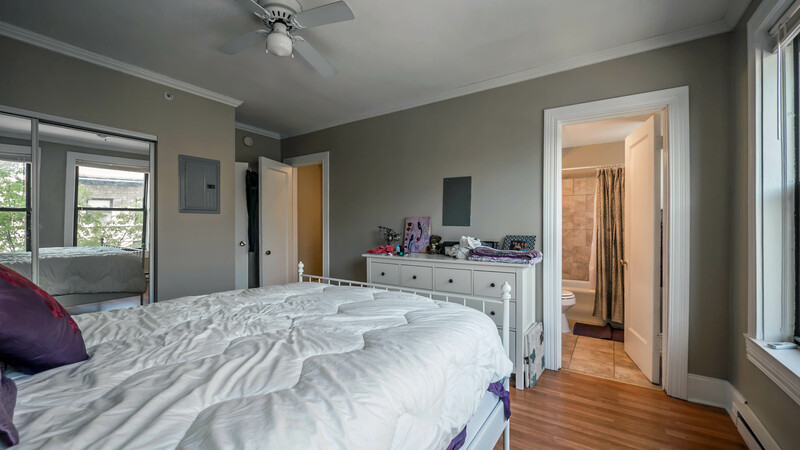 The apartments have hardwood floors, crown moldings and ceiling fans. Closet space is decent in most of the one-bedroom layouts but very limited in most of the studios. Kitchens have been updated and include dishwashers. Cabinet space is very limited in studios, and a number of the layouts have no counter space. Baths have been updated and open from the bedroom in several of the layouts. 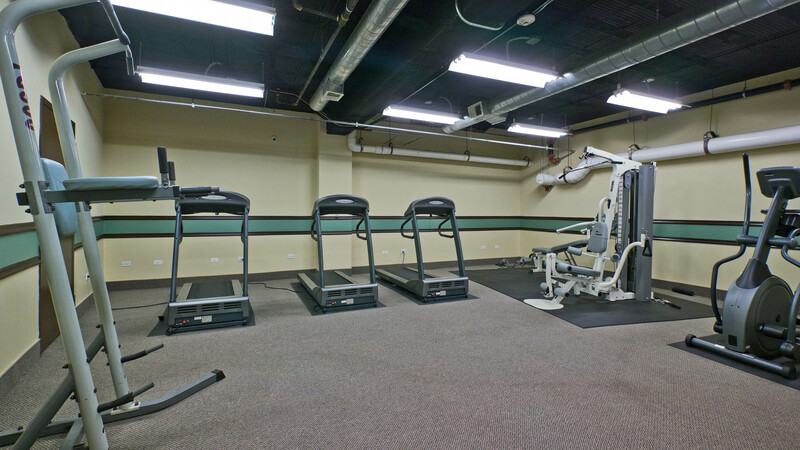 Like almost all vintage buildings, 860 Hinman has limited common-area amenities. 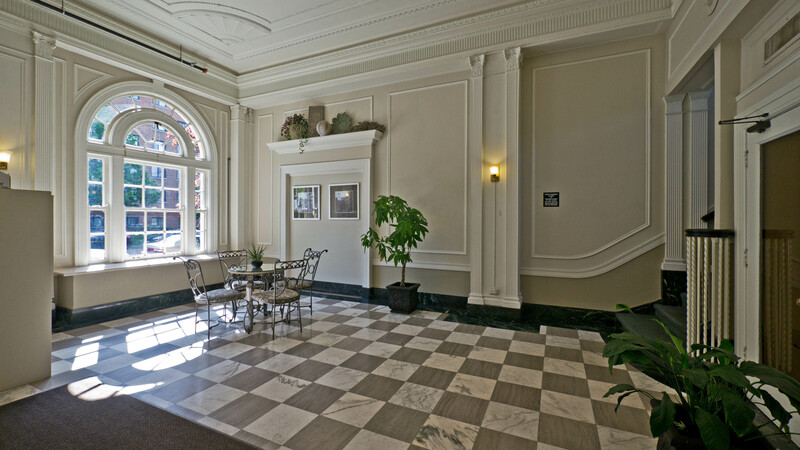 860 Hinman has an attractive lobby and on-site leasing, management and maintenance staff. 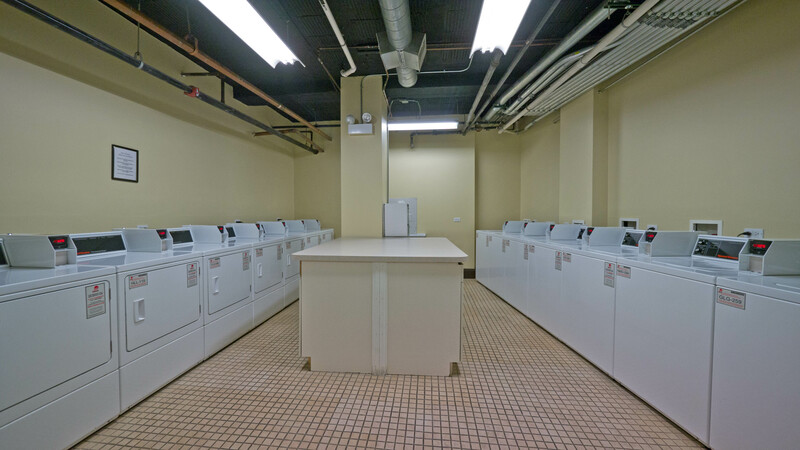 The building has a fitness room and a laundry room. Cats are accepted; dogs aren’t. 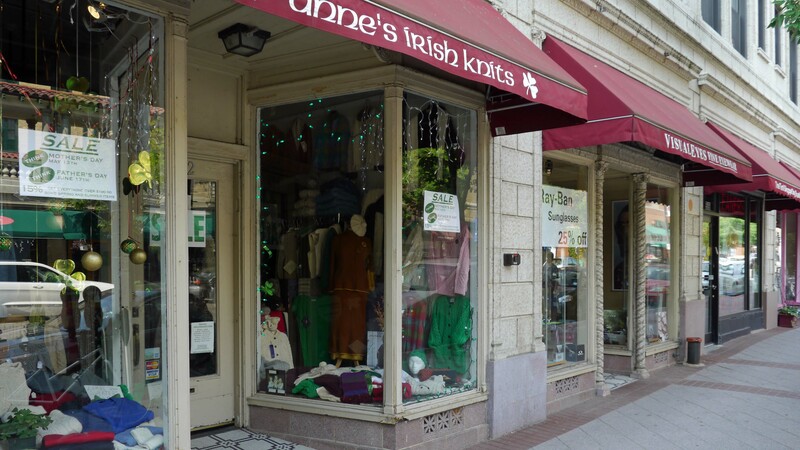 860 Hinman is at the intersection of tree-lined residential Hinman Ave and the lively commercial strip along Main St. 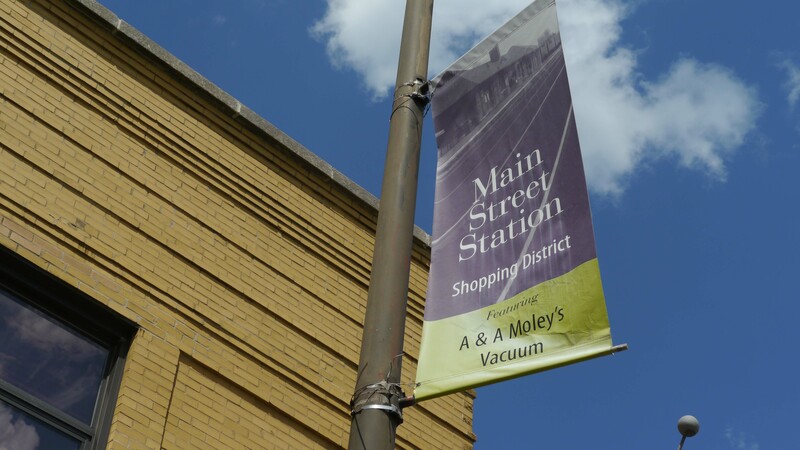 The building is close to shopping, restaurants, coffee shops and public transportation. 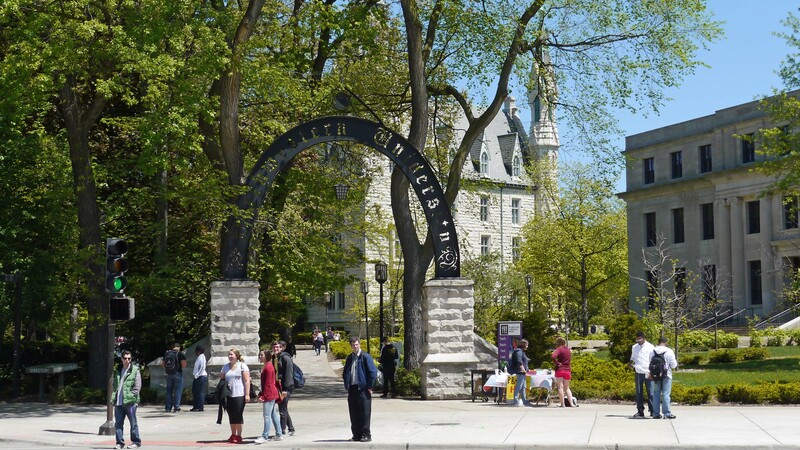 860 Hinman is over a mile south of the Northwestern University campus. Shopping. 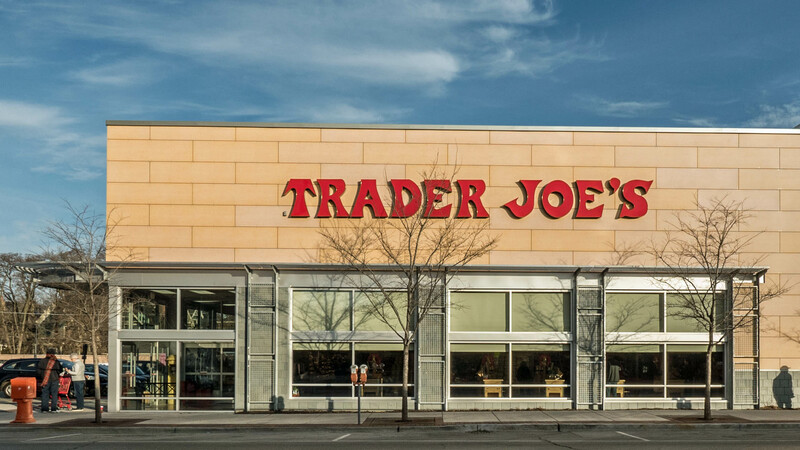 860 Hinman has reasonably good proximity to grocery shopping. 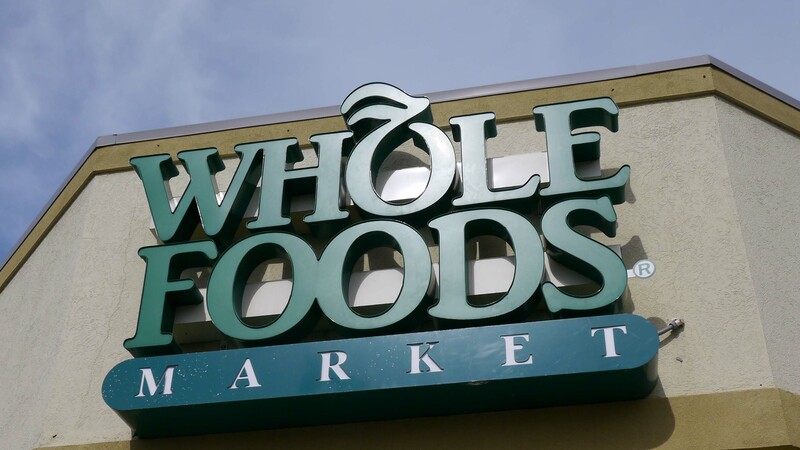 Whole Foods is two blocks north on Chicago Ave and Jewel-Osco and Trader Joe’s are a block further. 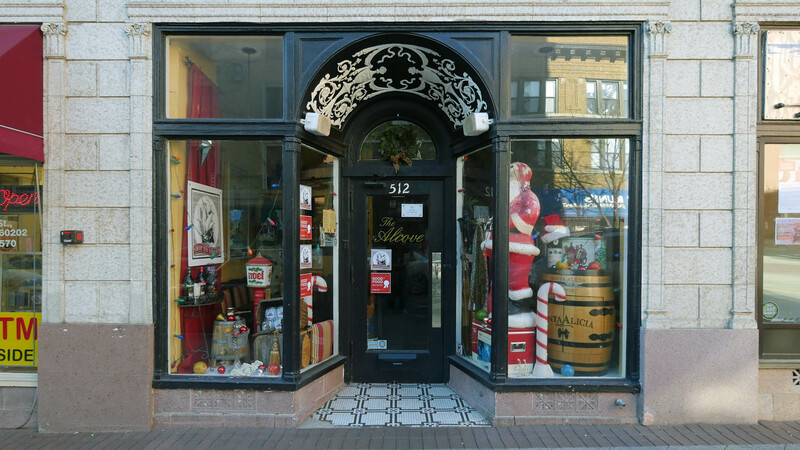 There’s also a small convenience store in the building on the Main St side. 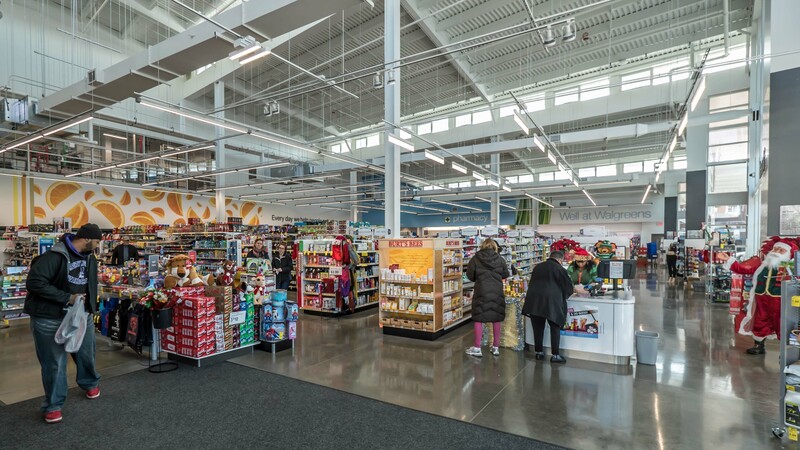 There’s a new Walgreens on Chicago Ave, two blocks south of the building. 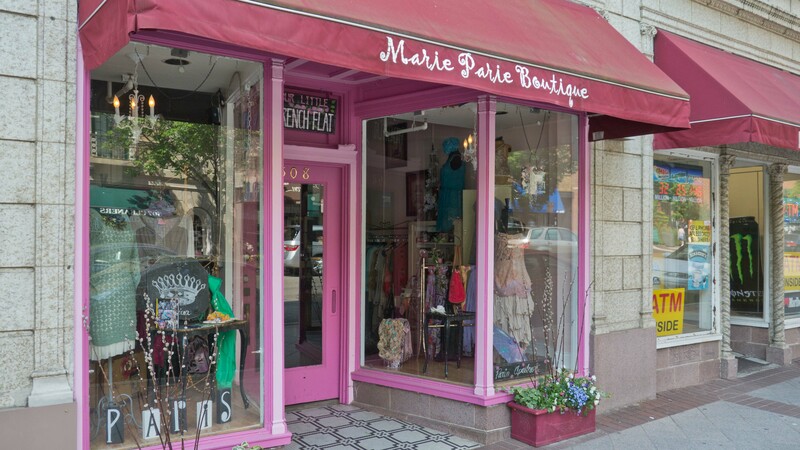 Main Street serves up a quirky mix of retailers ranging from resale shops to handmade chocolates. 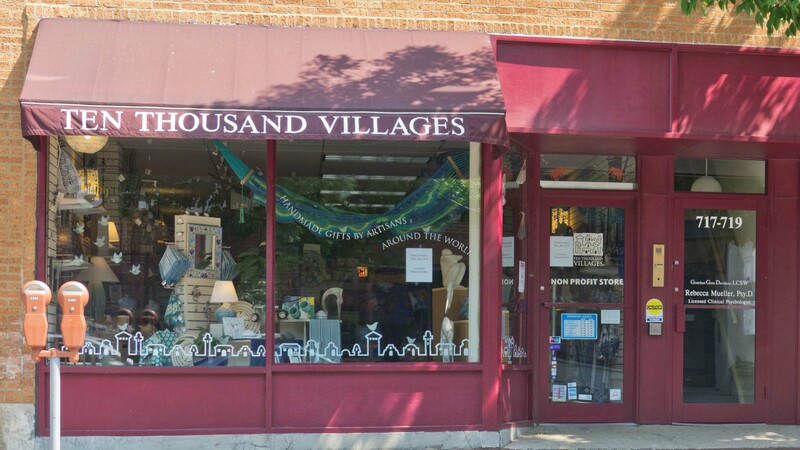 Downtown Evanston shops are about three-quarters of a mile from 860 Hinman. 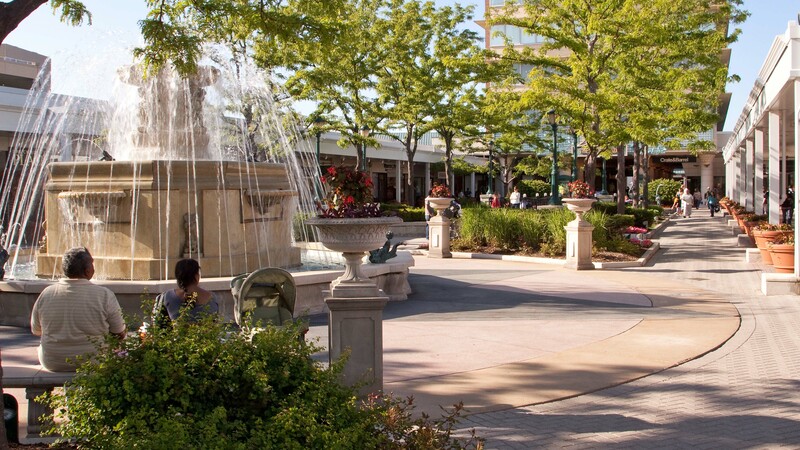 The upscale Westfield Old Orchard shopping center, anchored by Macy’s, Bloomingdales and Nordstrom, is accessible by a bus route that stops a block from the building. Dining, nightlife, entertainment. 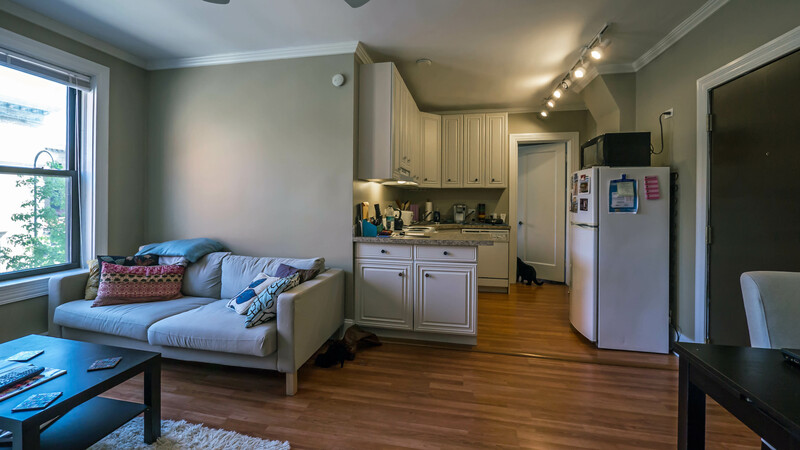 Residents of 860 Hinman have a variety of dining and drinking options nearby. 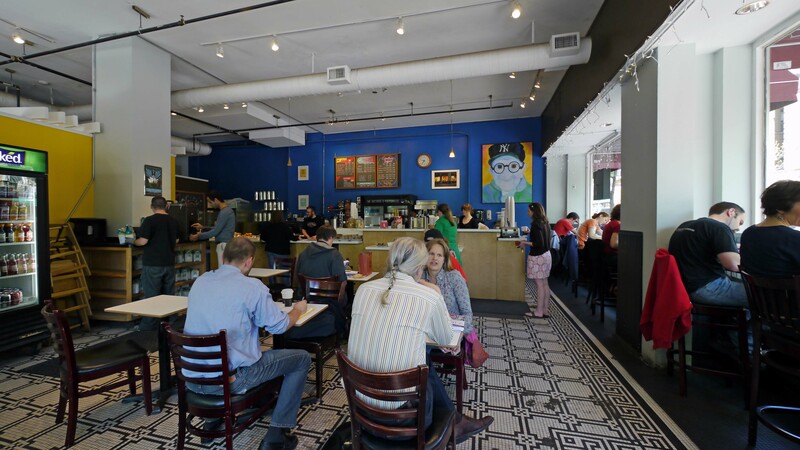 Brothers K coffee house is in the building and Starbucks is just around the corner on Main. Both venues have pleasant outdoor seating areas. 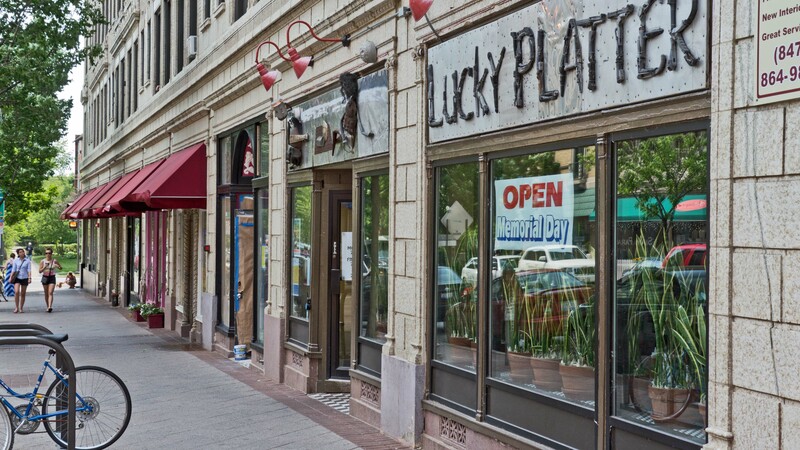 The Lucky Platter, on the Main St side of 860 Hinman, draws a crowd for comfort food and a great weekend brunch. 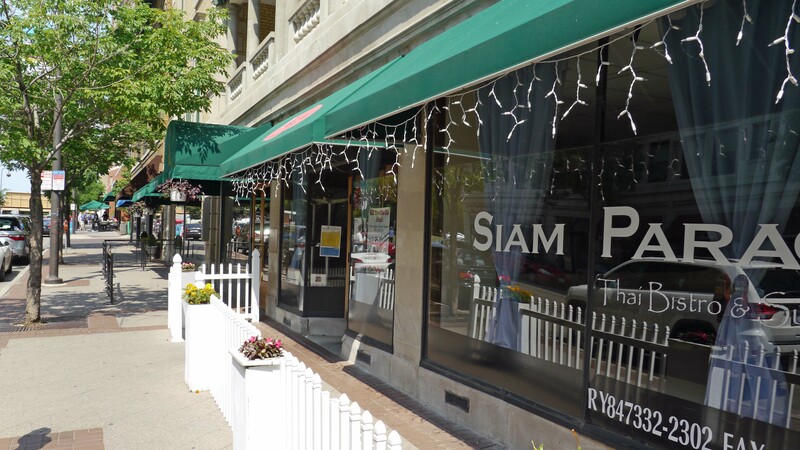 Siam Paragon, a local favorite for dine-in and takeout Thai food, is across the street from 860 Hinman. 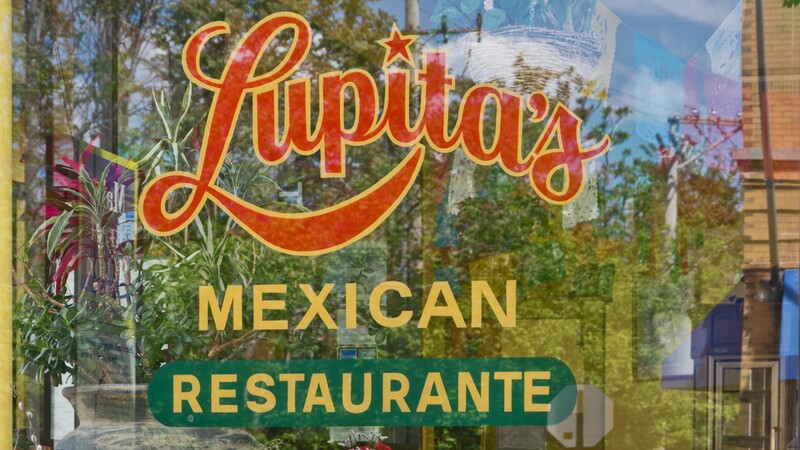 Lupita’s, two blocks west, is a margarita mecca. 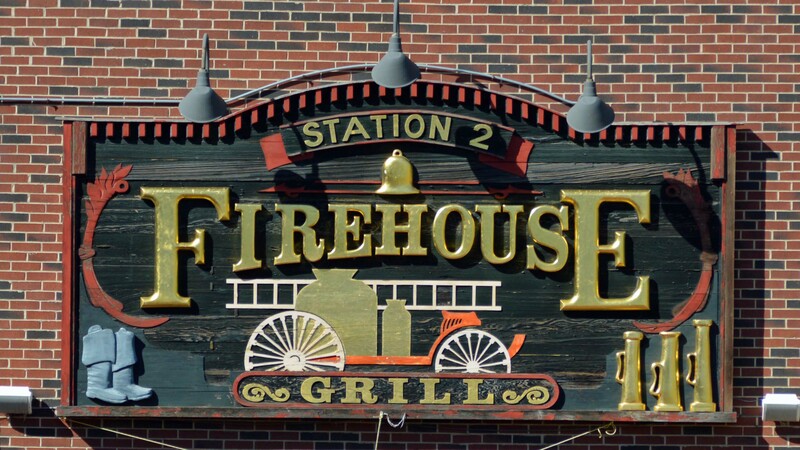 The Firehouse Grill, a block south on Chicago Ave, is the neighborhood go-to spot for burgers and a lot more. TimeOut Chicago’s Evanston City Guide recently ranked The Alcove, which is in the building, as one of the best bars in Evanston. Piccolo Theatre seats 50 for comedy plays at a space in the Main Street Metra Station. Parks, recreation. 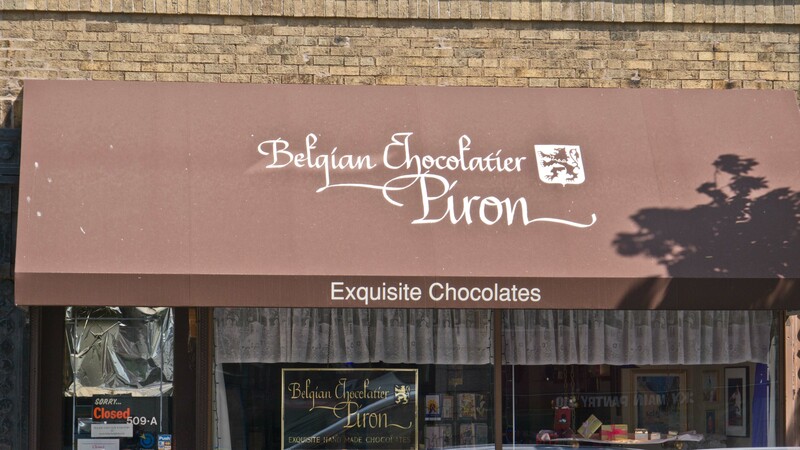 The location does not have convenient access to public parks and outdoor recreation areas. 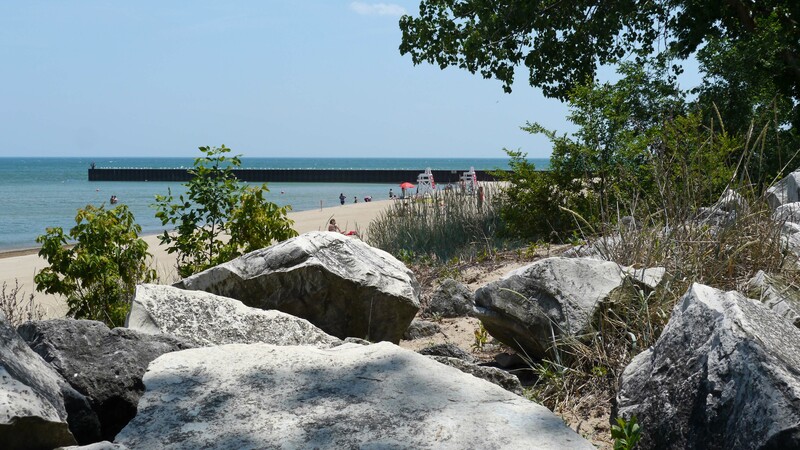 Evanston’s public beaches are about half a mile east of the building. The nearest public park, Clark Square Park, is a passive green space. Transportation. 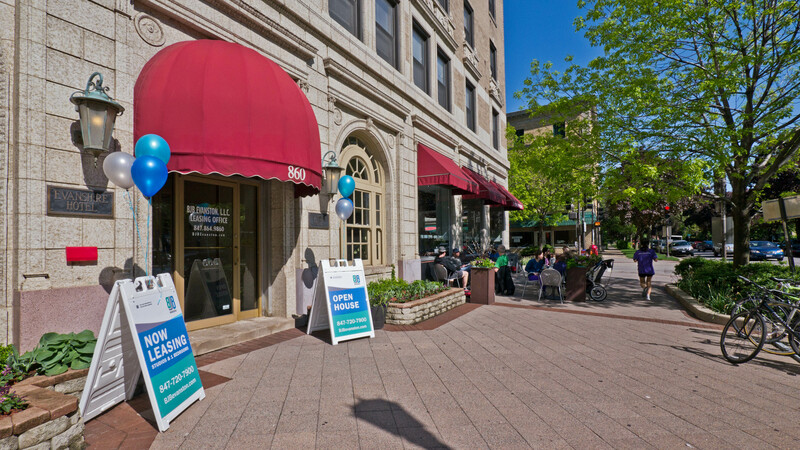 Residents of 860 Hinman have good access to public transportation. 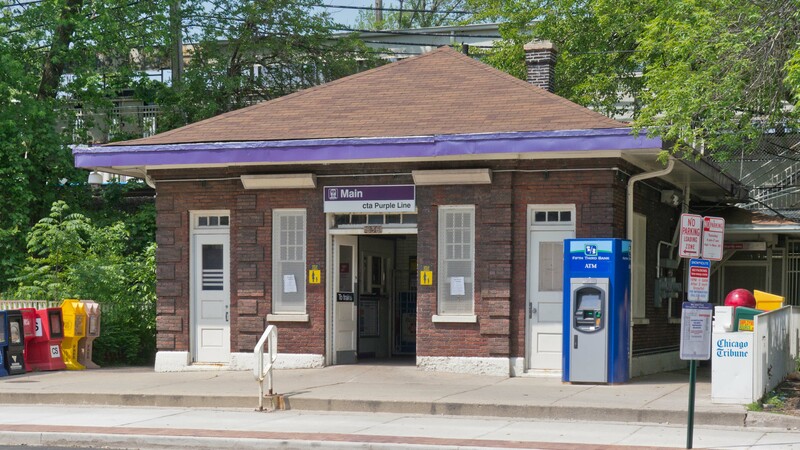 The CTA Purple Line stop and Metra North Line stop at Main St are just a block from the building. 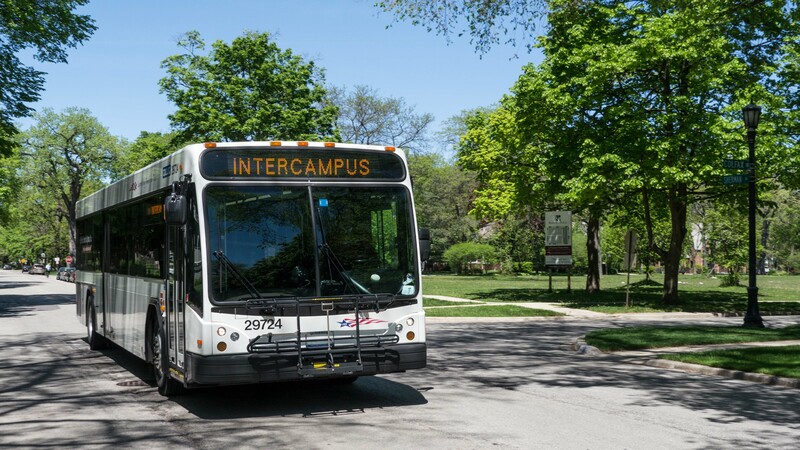 Northwestern’s intercampus shuttle and the #205 CTA busstop at Chicago and Main, a block from 860 Hinman. All of Evanston has relatively inconvenient access to Chicago’s airports and to I-90/94 and the expressway grid. 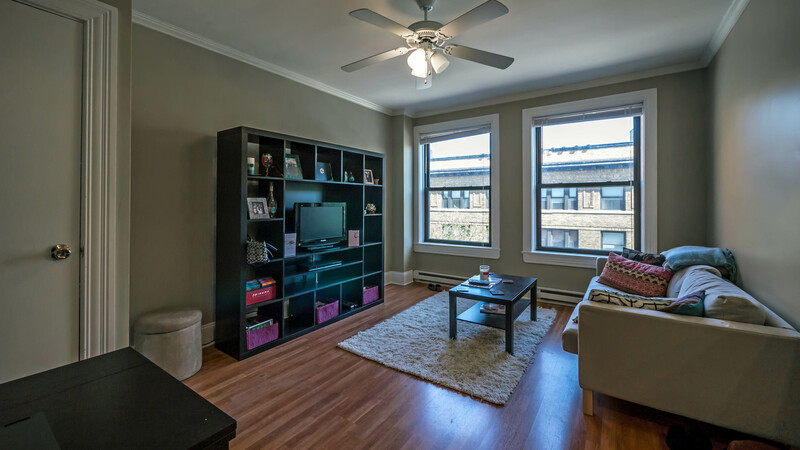 You’ll find additional options at YoChicago’s at-a-glance list of Evanston apartments. If you’ve lived at or visited 860 Hinman, and are not a real estate agent, add your thoughts in a comment. Comments are moderated, and commercial messages are not allowed.